Appleton Boychoir – A life changing musical experience. "Appleton Boychoir keeps music and arts in the forefront, and gives boys an opportunity to do something they love." 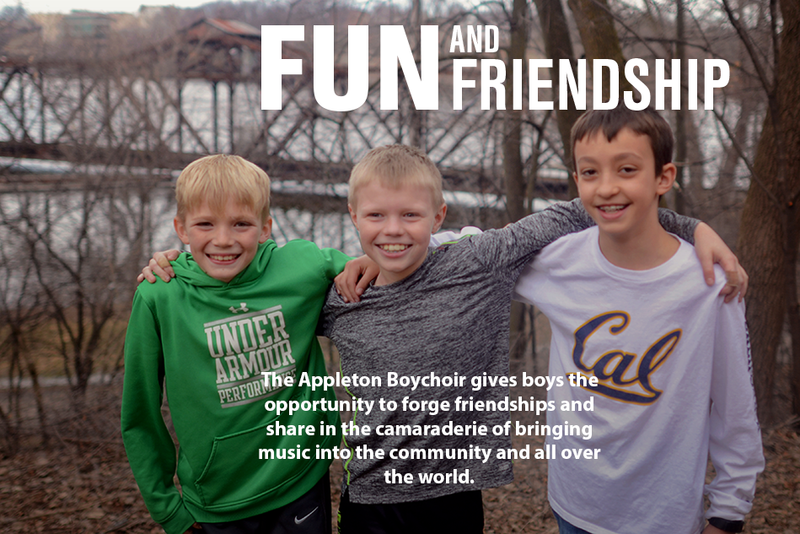 "The Appleton Boychoir offers so much more than vocal instruction. It teaches a boy teamwork, respect, self-confidence, and responsibility." "I love that at camp they teach the boys to tie a necktie! They learn to dress and perform as proud ambassadors for our region. The Boychoir brings boys together in song but also teaches them how to be future leaders of our community." "The Appleton Boychoir has been an experience like no other. 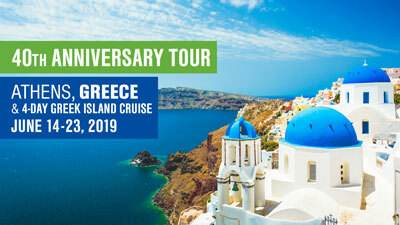 It has given my son confidence, leadership, and travel experiences that are once in a lifetime opportunities." 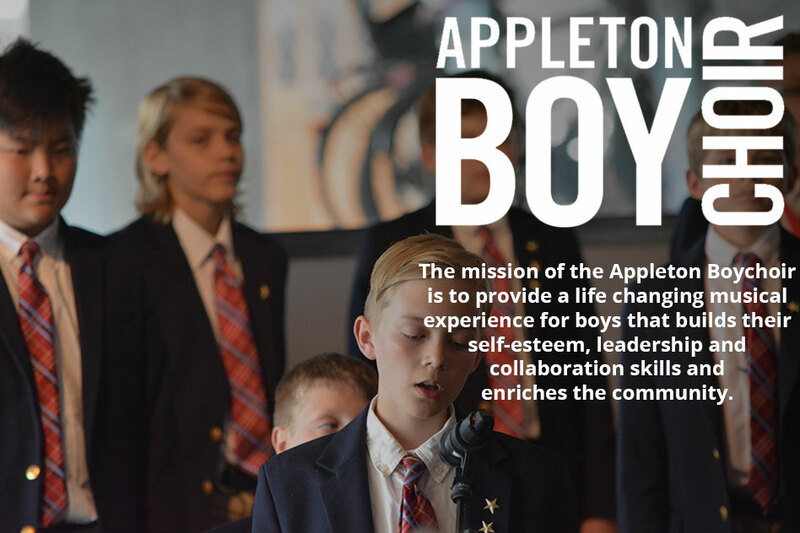 "The Appleton Boychoir was a tremendous experience for our son, Ethan. Not only did he learn how to sing and read music, but he also learned how to work and perform with a "team", to be poised in front of an audience, and to be a leader among peers and younger members of the choir. 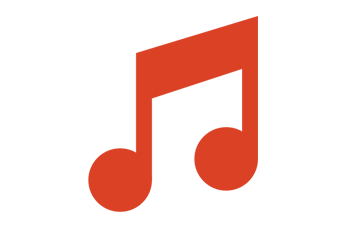 We would definitely recommend the Appleton Boychoir!" "The Boychoir has given our sons the opportunity to develop their musicianship alongside some of the most talented kids in the Fox Valley. Our boys have loved attending camp and developing friendships with boys from many area schools. Thanks to the Boychoir, my eldest son had the opportunity to tour Peru, Boston, Iceland and Colorado. It has truly opened up the world to him."